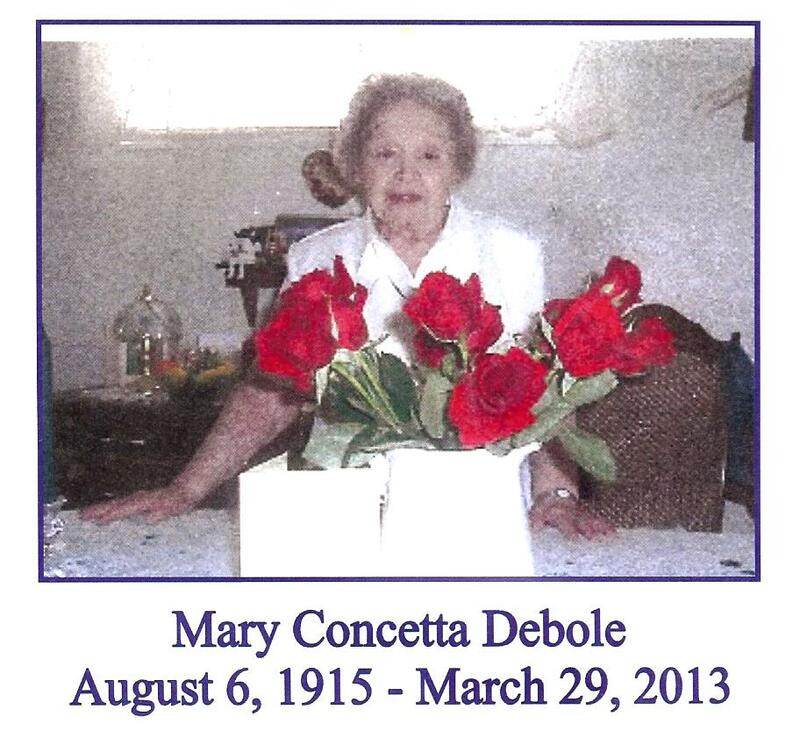 Mary Debole, a widow for many years, passed away quietly on Good Friday, March 29, 2013 at the age of 97. Mary was predeceased by her husband, Louis; her two sons, Frank and Peter Debole; and, her step-daughter, Josephine Dupree. Mary worked for the Acacia Mutual Life Insurance Co. from 1952 until she retired after 33 years on May 31, 1985. She was a member of St. John Baptist de la Salle – Ladies of Charity in Chillum, MD for almost 30 years. We were very fortunate to have had Mary, who was always more than willing to help, when asked to do works of charity. We will miss her sweet smile and her quiet, reserve manner.